Callable bonds may be forcibly redeemed before maturity. 1. What Type of Bond Can You Not Cash Out? Bonds are a form of debt issued by governments and corporations to raise money. Lenders purchase bonds to receive interest income and the eventual redemption, or return, of the bond's face value on the maturity date. However, bonds may be issued with one or more embedded calls. These callable bonds allow the issuer to force the early redemption of some or all of the bonds before the maturity date at a price that often includes a call premium above face value. Issuers specify call provisions in bond contracts, called indentures, issued at the time of the bond offering. The indenture specifies the first and subsequent call dates, how many bonds can be redeemed at each call date and the call premium at each date. A delay of several years usually applies before the first call date. 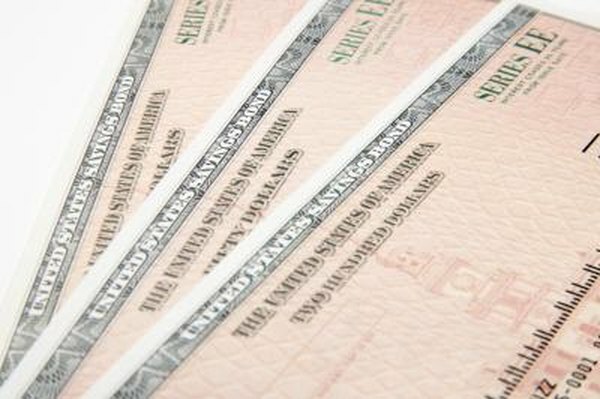 Multiple call dates are used when the issuer anticipates periodically retiring a portion of the outstanding bonds. The call premiums may vary for different call dates. The primary reason for an issuer calling a bond is to benefit from lower interest rates. The issuer can save money by redeeming the outstanding bonds and reissuing the debt at a lower interest rate. Another motivation is to systematically reduce the issuer’s outstanding debt. An issuer can set up a sinking fund, which is a special-purpose asset allocated for debt retirement, to pay for periodically calling back a fraction of a bond issue. A call provision introduces uncertainty into the ultimate return on a bond, because the number of interest payments might be reduced. This uncertainty makes callable bonds less attractive than non-callable ones to lenders, who therefore require a higher yield on callable bonds. In bond math, higher yields require lower prices, so callable bonds sell for less than their non-callable counterparts. In effect, the issuer has to pay for the call privilege by issuing its callable bonds at a discount to equivalent non-callable bonds. Non-callable bonds with many years until maturity readily respond to changes in interest rates. If interest rates go down, the relatively high yield on existing issues makes them more attractive and investors bid up their prices. As the maturity date approaches, the prices return to face value, because that is the amount that will be ultimately received by bondholders. A callable bond can be forcibly redeemed well before maturity, so these bonds are pegged to the redemption price much earlier. The net effect is that callable bonds enjoy less price appreciation than equivalent non-callable bonds.